Kyusho Jitsu Level 1 Instructor Certification - Become a Kyusho Instructor! Welcome to Kyusho Jitsu Level 1 Instructor Certification Course. My name is Art Mason, and I am a school owner. I know the frustration of keeping adult students motivated, coming to class, training and paying their tuition! I would lose sleep at night worried about paying the rents, keeping students happy and closing the back door. It is heartbreaking each time a student leaves your school, but especially the adults and teens as well all hope to see them obtain high ranks and even become teachers themselves! Now I have been in the martial arts since 1984 and began teaching for my instructor at green belt. I ran his school for many years. In 2000 my sons and I founded our own school in Windsor Ontario Canada called Art Mason’s Peaceful Warriors Martial Arts. It did OK, but nothing like I had dreamed it would! I spent much time traveling and learning about other systems I could incorporate into my system without selling out! My passion is self defense, but I could not add something to my teaching that contradicted what was already doing! Odds are if you’re reading this letter you’ve heard of it or some other kind of system, such as “Dim Mak”. Let me tell you, for as many incredibly talented people that practice “Kyusho” there are a great number of them who really don’t know much about Kyusho Jitsu and others who just make it up as they go along. Often “Kyusho Jitsu” is met with severe skepticism and often viewed as being nothing but showmanship. Kyusho Jitsu is based in science and practical applications, often using ancient Asian medical references to make for easy association and learning. Let’s talk about what “Kyusho Jitsu” really is. Kyusho simply is the study of the human body and it’s nervous system. By studying this system you can take any of the techniques and Kata in your system and make them incredibly effective, easy to apply and devastating for anyone and everyone! You will begin to learn how to interpret each and every move and discover there is absolutely NO WASTED Movements, each and every move has incredible power and significant meaning… even the formal beginnings. Kyusho Jitsu Level 1 Instructor Certification - The secrets to martial arts and Student Retention Revealed! You will be amazed to discover! At your ability to perform any technique on even the most difficult partner with incredible ease! 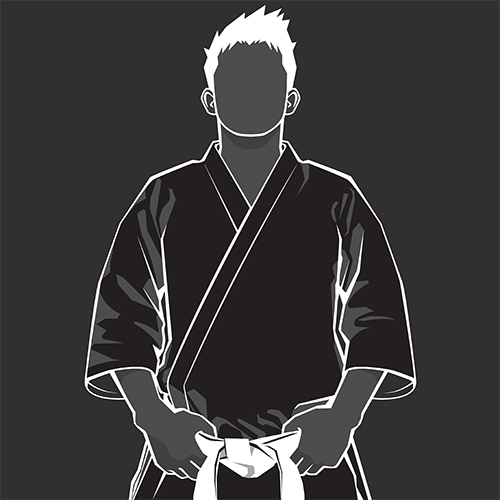 Kyusho Jitsu Level 1 Instructor Certification Course How does it all work? Kyusho Jitsu teaches you how to disrupt a person’s nervous system, allowing you to perform various techniques and maneuvers with ease. Techniques like joint locks, arm bars and throws are done by temporarily shutting off various joints or by effecting specific nerves in the body to make them more painful and easier to manipulate. This allows you to quickly disable and subdue any attacker or classroom partner. But that’s not all… for striking arts it works just as well. You will learn not only where to hit, but how to hit it. Making each strike an incredibly devastating blow while only using minimal force and incredible speed! So that even the smallest of practitioners can defend herself with amazing efficiency. Amaze even your oldest students with your ability to perform each technique like one of the legendary old world masters. The beautiful thing about learning Kyusho is that it works with any style or system of Martial Arts. You already know the techniques, now learn how to apply them! Kyusho Jitsu can be easily applied to any Martial Art because it is what I like to call a “Supplementary System” and can be literally plugged into what you are already doing without having to change anything you have already learned or are being taught at your school! How is this possible? Your style of Martial Art already has ALL OF THESE SECRETS ALREADY IN IT! The proper direction and angle for every Kyusho Application is there! Now you just need the knowledge of how to apply it. I first do this by teaching you the basics of applying these incredible concepts and then by going through the real “Kata Interpretation” or “Bunkai”. Because lets face it, some of the moves in your Kata can seem down right silly and useless. Incredibly they’re NOT! It allows you teaching of students up to 1st Dan Black Belt as a separate program students pay for, or you can integrate into you current curriculum, the choice is yours! You can implement a monthly class to teach this program as a separate entity and change for each session! I usually get 10-12 students in a sessions and charge $75 dollars per student! The course takes 1 year to complete, plus depending on the number of students you have you can do multiple sessions or expand to other schools! Plus as a bonus being a member of Kyusho Jitsu World Alliance you will be given exclusivity to your area! No competition! Video of the 1st year of materials. And as a BONUS Free enrollment in our Kyusho Jitsu Mini Course! If you are not a Black Belt in Kyusho you will be! If you are this is a great review or you can pass it one to one of your teaching staff! That is a $600 BONUS! Direct support from GM Art Mason! 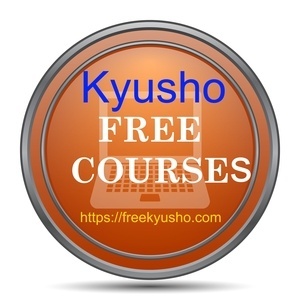 Now you can easily pay from the various Kyusho jitsu federations as much as $2000 USD plus a percentage of teaching income for other products! But I have a much better opportunity for you!